If you own an iPod touch 4G, you would already know that the camera cannot take widescreen 720p photos. 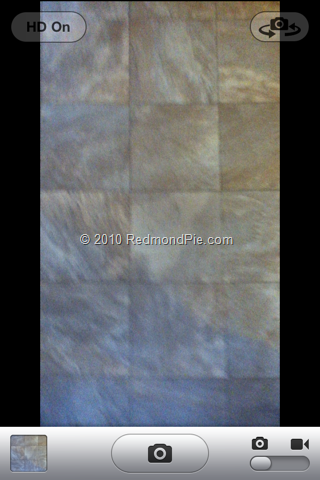 With a tweak called HD Photographer available in Cydia, you can now enable widescreen photos using the built-in camera app on the iPod touch 4G. This adds more pixels to the photos you take but at the price of losing the default 4:3 aspect ratio. Technically, this tweak increases the iPod touch 4G’s rear camera from 0.7 megapixels (960×720) to 1.0 megapixels (1280×720). The app is activated automatically when you install it, so there is no icon but there is a toggle in the camera app that lets you turn HD Photographer on and off. HD Photographer is available from Cydia under BigBoss repository for $0.99.